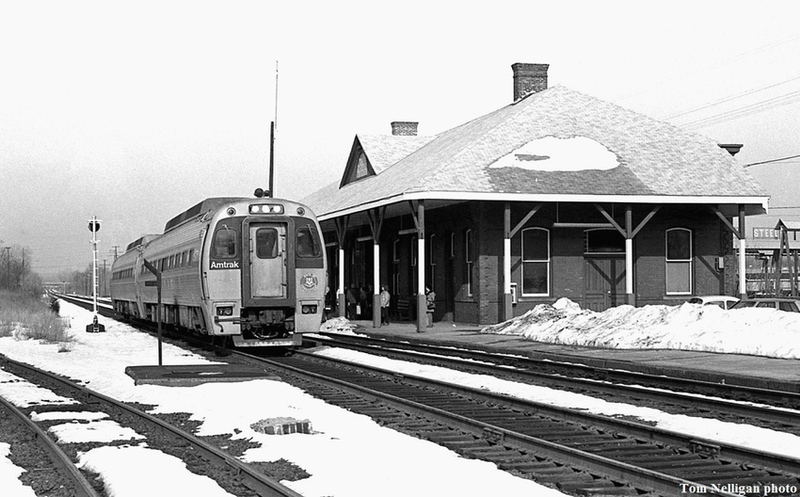 On a winter day, a pair of Amtrak/CDOT Budd SPVs running as a Springfield-New Haven shuttle pause at the NH-era station in Berlin, CT, long before it would be destroyed by fire. The current CT Rail facility at this location is functional but lacks the old depot's charm. Photographed by Tom Nelligan, February 21, 1983. Added to the photo archive by Tom Nelligan, November 6, 2018.